Over the weekend, protestors gathered at the Bulgarian capital of Sofia to demand early elections. 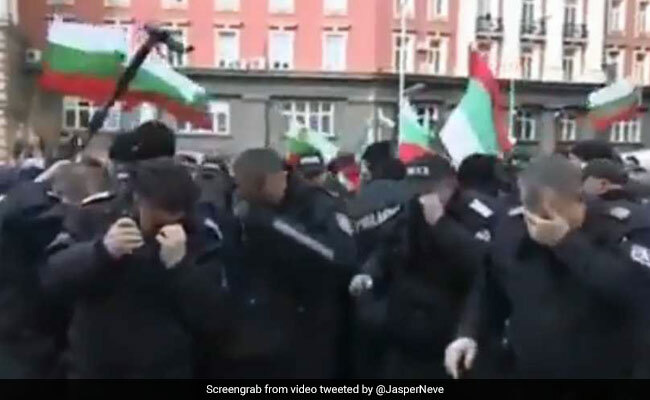 When the Bulgarian police tried to disperse them by using pepper spray, however, something quite unexpected happened - they managed to pepper spray themselves instead. Footage that has racked up millions of views on Twitter shows a police officer spraying directly into the air, failing to take into account the direction of the wind. As protestors remain largely unharmed, the pepper spray blows back into the faces of the police officers. Many cops were seen rinsing their eyes out with water in the viral clip. According to local reports, the incident took place outside the parliament in Sofia after protestors tried to block the streets. "Bulgaria is a peaceful country, where protests very rarely go more violent than a bit of pushing. This explains the inexperience of the police with things like pepper spray," explained Jasper Neve, who shared the clip on Twitter. Since being shared online, the video has collected over 2.95 million views and thousands of reactions. "Pro tip for protestors: always conduct your protests upwind of the police," laughed one person in the comments section. "Replace 'Bulgarian police' with 'Bungling police'" another quipped.